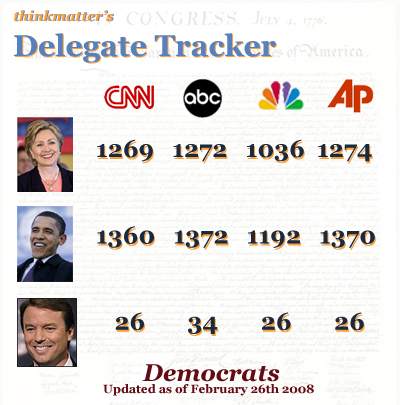 With Senator Obama officially leading in the delegate totals from every major news source, the last time we saw the press fawn over a story-line like this was when the Bush Administration wanted to invade Iraq. Does anyone else find this celebration oddly familiar? And have you seen how the comedy writers (back in full form, fresh and ready to skewer the 4th Estate for it’s obvious miscalculations) are finally bringing us back down to earth? Check out this SNL clip from this past weekend…. Not to take anything away from Obama’s meteoric rise in the past 30 days, but Hillary Clinton has been given rather short shrift. Every question about her campaign has been an exercise that mines her weaknesses and attempts to extricate a confession of her defeat. Unfair? Sure. But is it part of our modern political era and therefore somewhat excusable? Yes. The American press corps has caught her campaign at a moment that they were not prepared for – the brink of losing the nomination – and uncovered a campaign staff ill-suited to properly dismiss the threat she is facing. She’s made here mistakes and now she is being asked to pay for them. With Obama eating away at her base, she is now weak where she was previously strong. This is the Karl Rove recipe for winning in politics without the ‘slash and burn’ rhetoric. Though Obama is not crediting Rove by name, he’s using the successful tactics that the former Bush official employed throughout his entire career to sink Hillary where she has the most strength – with whites, women and men. Orchestrated, sensationalized and framed as it has been by our modern media, I will agree that this is Hillary’s last stand but refuse to predict an outcome. 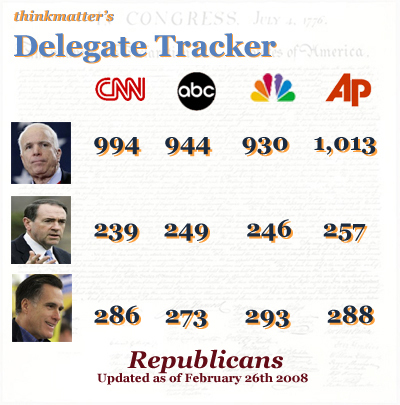 For now, enjoy the accumulated knowledge of four of our most trusted sources for political predictions.